I just returned home from two lovely weeks on the East Coast! I spent the first ten years of my life in New England and my college years in New Jersey, but I hadn’t been back in over two years. It was wonderful to see the friends and family that I was able to see, and I insisted on doing all of the tourist activities we could possibly fit in! Most of my to-see list consisted of breweries and creameries (cheese AND ice cream! ), and I also ate a lot of seafood that I had never tried as a kid, like lobster and oysters. I also had the wonderful opportunity to enjoy my Mom’s lobster rolls not once, but twice! 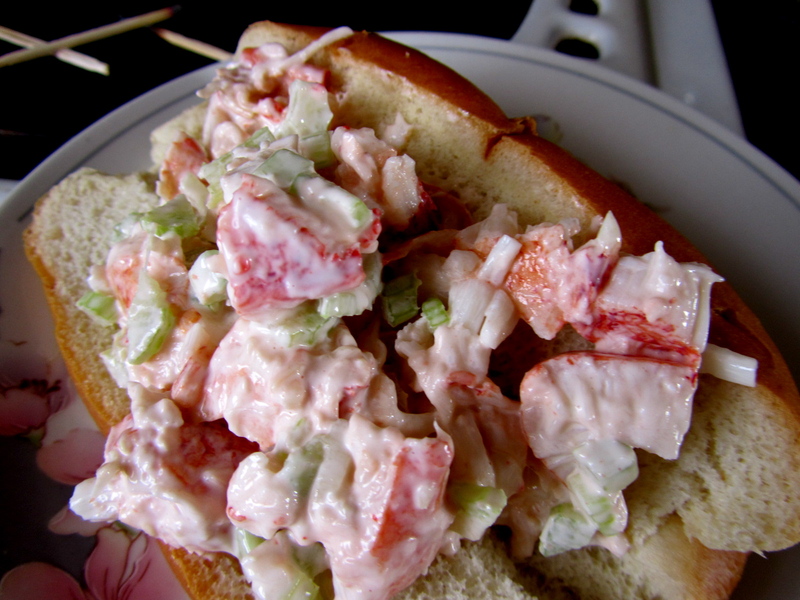 While I learned to love lobster earlier this year, I had never cooked live lobster or done anything with it, so I feel very lucky that I was traveling with my mom and that she taught me how to prepare a lobster and how to make these delicious lobster rolls! Click through for the easy recipe. Since my mom was cooking, it was easy for me to take step-by-step photos!